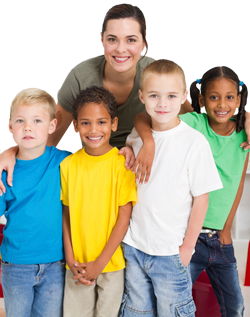 Today's Child employs teachers with college degrees or other certifications specific to early childhood education and elementary education. Our teachers have chosen teaching as a profession. Moreover, we are committed to the ongoing professional development of our staff by offering them numerous avenues to grow, including the Certified Teacher Induction Process, webinars, conferences and hands-on PQAS-certified training. With continuing education, Today's Child's teachers enhance their knowledge base and refine their techniques to better the growth and development of our students.